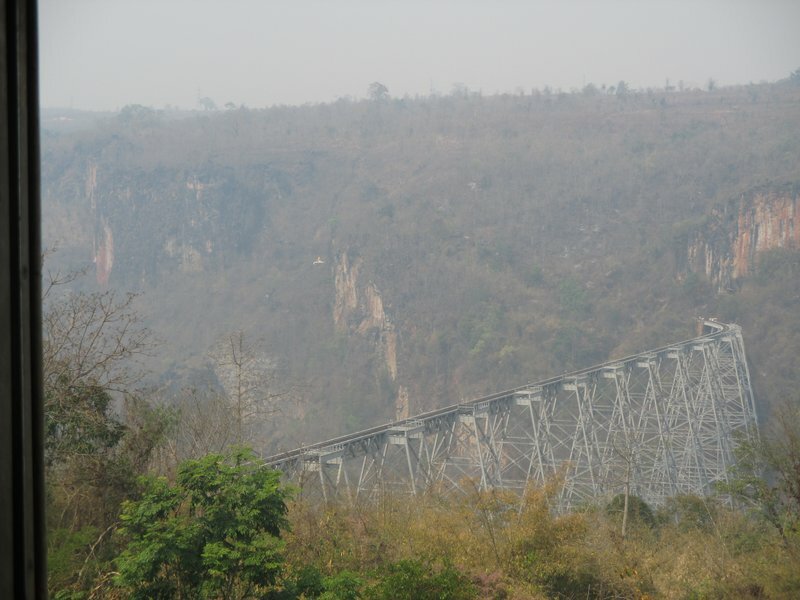 Only showing entries about gokteik viaduct from Roaming the world. 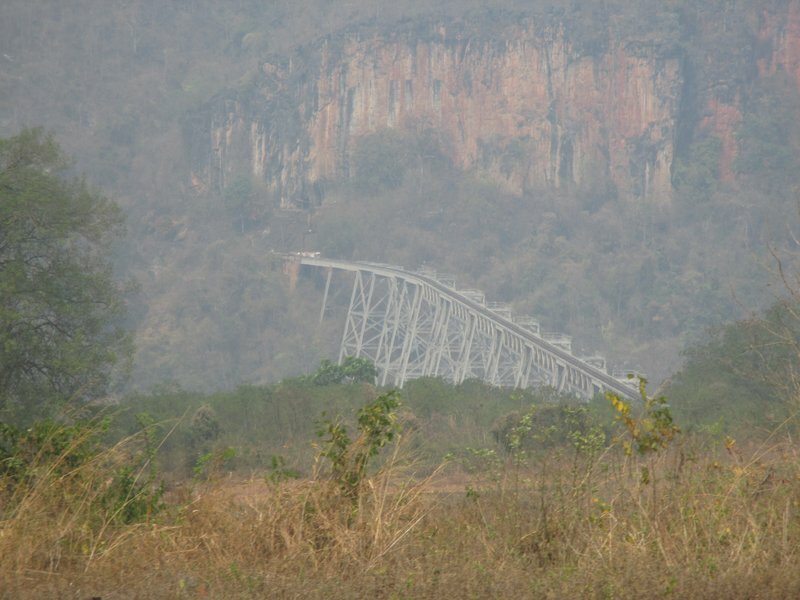 View entries about gokteik viaduct from all Travellerspoint blogs. 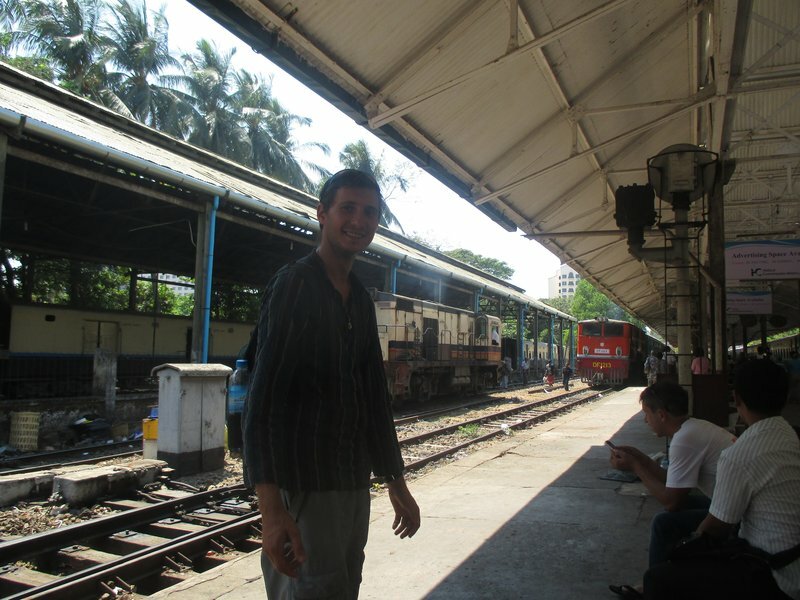 Being a big fan of railways and having a rule to travel by rail as much as possible I couldn't wait to come to Myanmar. And I wasn't disappointed. 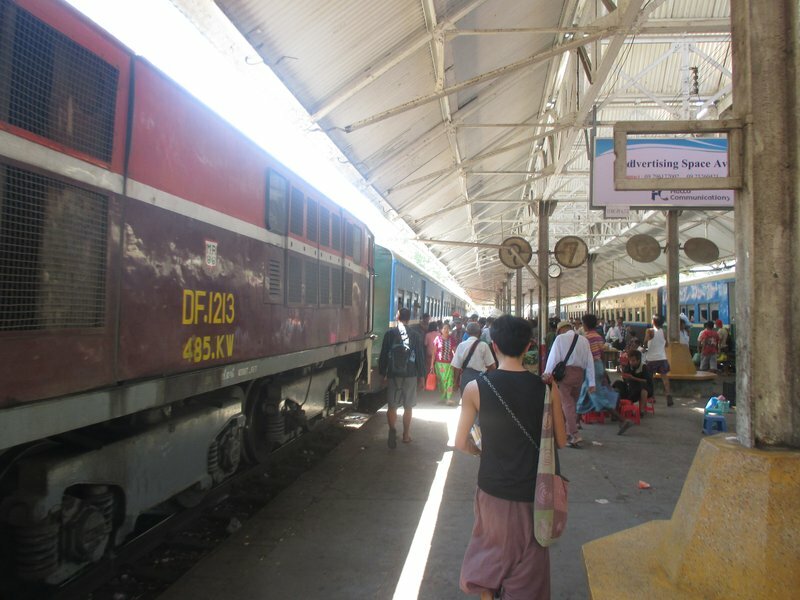 Rail Network in Myanmar is actually more developed that you would expect in a way it's as extensive as in Thailand, nothing comparing to Indian network of course. I guess this is a part of British heritage. 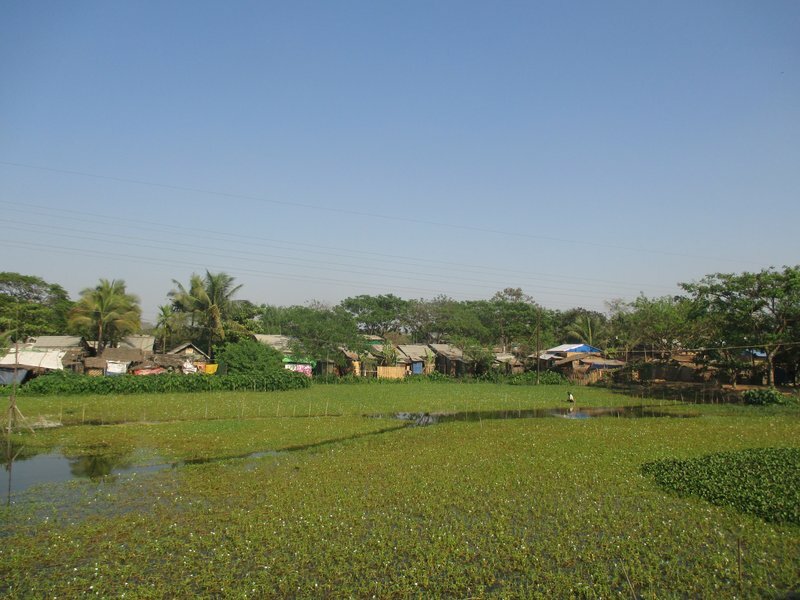 You can reach all the main cities that are visited by tourist and although infrequent and slow trains usually run on daily basis. This is by far my favorite part. You can't book them online (daa). You can't buy them for the following day (Yangon might be an exception). You have to show up at the station about 20 minutes before train departure, skip the main ticket window and just pop your head into the station office. Someone will invite you inside sit you down and write a ticket. You get a special ticket which looks as if it was for West End show, while everyone else gets a scribble on a small piece of cardboard. 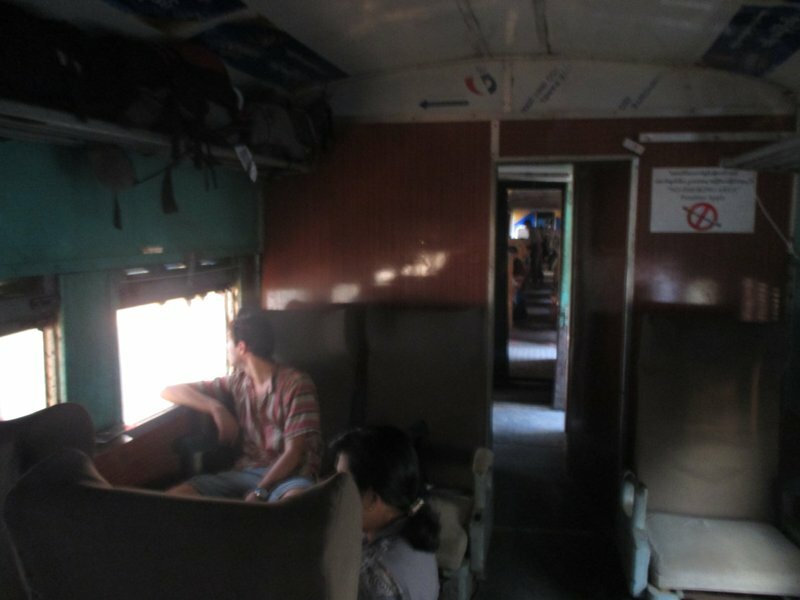 Foreigners pay in Kyat same prices as locals, first class normally twice cheaper than taking a bus and a second class is next to nothing. The trains look like they were delivered by Her Majesty's Rail back in royal times and are still running. There are two classes, first and second. Second class is the picture above. Basically flat plastic benches, perfectly fine for a couple of hours. First class - you get individual seats which look more like barber's chairs with armrest and everything. Just like barber's chairs these spin left and right and can recline far back - sound comfortable right? Wrong! They'd be comfortable if any of them worked. 99% chances that all levers are broken, which in best case means the chair is stiff fixed, worst case it has a mind of its own and spins out of control every time when train rocks and those trains rock alright. 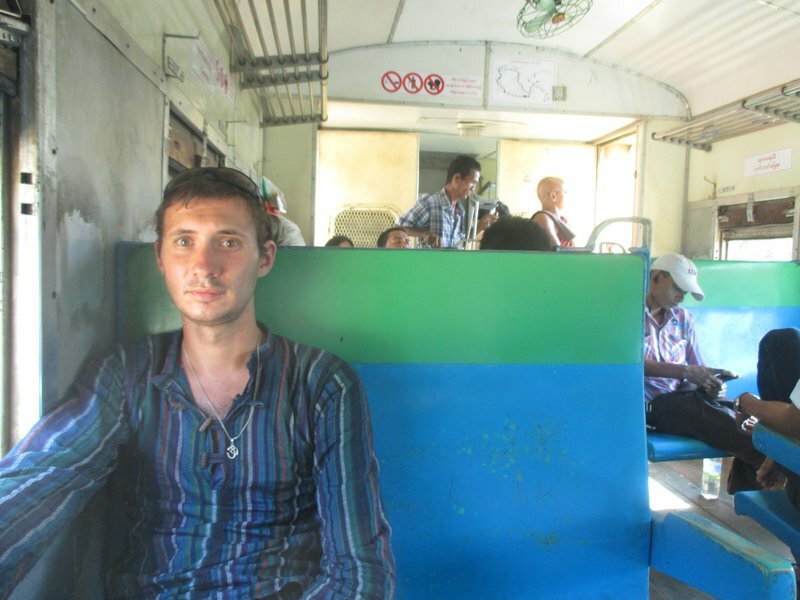 We decided to be brave and took a night train in first class from Bago to Mawlamine. I remember waking up in the middle of the night, when double dose of valium has worn off, and seeing everyone in the carriage spinning around as if they were on a carousel. The night was horrific, but experience priceless! The trains shake big time, you can properly appreciate the extend of rocking when you look through the passage that links two carriages as you see how they rock one against another. We were taking a ride from Pyin U Lwin to Kyaukme when we heard a loud bang like an explosion and the train got engulfed in ashes. After a second we realized that the train just derailed. The ashes were in fact concrete from the rail frame being sliced by wheels. And indeed no one including train guys worried. They got out a mega sized wrench which had two levers one to lift and lower and another one to shift it right or left. While two guys were spinning the wrench one was counting so they could spin it from both sides simultaneously. Within an hour we were back on tracks. More in this video. 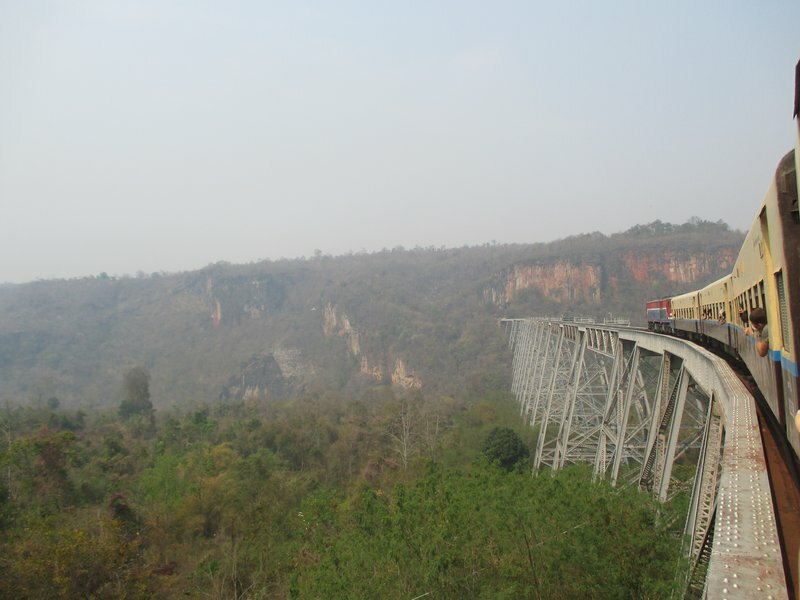 About an hour before Kyaukme we reached the famous Gokteik Viaduct. As the train has to descent to reach the Viaduct it makes a few switchbacks so you see it from both right and left. 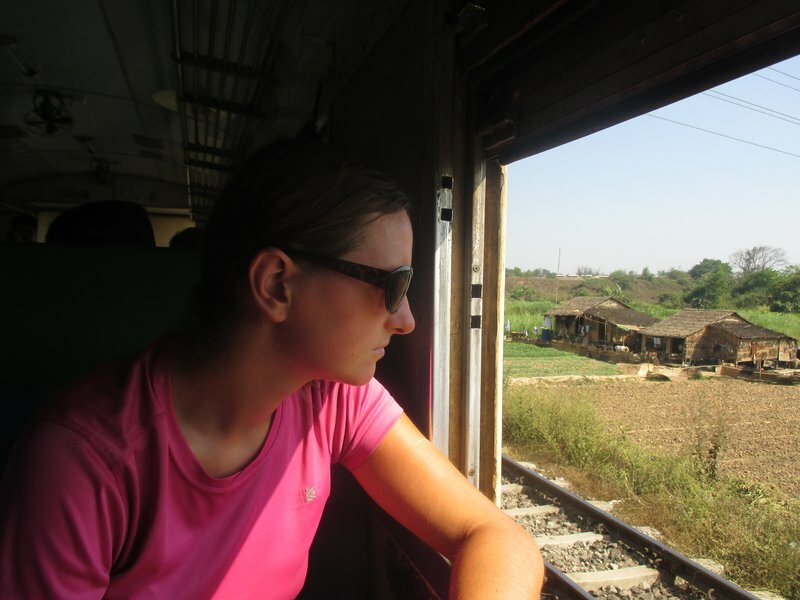 The train slows down to about 5 km/h and crosses the Viaduct at a snail place, the views are breathtaking.